In this month's Magnet(R) Perspectives column, the recipient of the 2016 Magnet Nurse of the Year(R) Award for New Knowledge, Innovations, and Improvements shares her journey to develop and disseminate a mobile application for nurses who care for neurological patients. "Neuroscience nurse" puts the latest, evidence-based information at the fingertips of nurses at the bedside in an effort to increase confidence when caring for patients with stroke, traumatic brain injury, and other neurological impairments. Nurse practitioner Christi DeLemos explains where she got the idea and how she went about implementing it. She also discusses the ways in which the Magnet(R) environment at University of California (UC) Davis Medical Center encouraged and supported her. Since neurological nurse was released in 2015, more than 3000 users in 19 countries have downloaded it. The app's success led to the production of a teaching video to help nurses perform a neurological examination. In addition to her role at UC Davis Medical Center, DeLemos is president of the World Federation of Neuroscience Nurses. When I began my practice as a neuroscience nurse, one of the biggest challenges I faced was finding information quickly and easily. We carried big, handheld reference guides and had to search through pages of data to locate what we were looking for. Mobile technology has revolutionized the way we access data. Now, nurses have instant access to information when and where they need it. I began to see how this technology could provide bedside nurses rapid access to specialty information for common neurological conditions, such as traumatic brain injury (TBI), stroke, epilepsy, and hydrocephalus, and offer guidance for conducting a complete neurological examination. In addition, as president of the World Federation of Neuroscience Nurses (WFNN), I recognized the importance of ensuring that nurses around the world understood the basic tenets of how to care for the neurological patient population. The WFNN is dedicated to the promotion and development of neuroscience nursing globally. 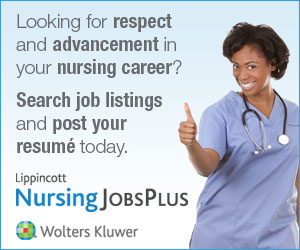 Among our goals, we seek to develop expertise across all levels of neuroscience nursing. It took a fall from a horse to really open my eyes to how much this expertise varies. During my recovery, I experienced firsthand the huge knowledge gap among nurses. Some of the nurses who cared for me were very knowledgeable; others were not. I thought, "This is a nursing knowledge gap that can be corrected," and soon afterwards, neuroscience nurse was born. The mobile phone app is a quick reference for nurses who care for patients with brain and nervous system diseases. With the touch of a button, nurses have instant access to evidence-based information about neurological conditions and treatments. The app is intended to help strengthen their comfort level with neurological assessment and common neurological conditions. It is available free of charge to everyone, courtesy of WFNN. I felt that it was important that I develop neuroscience nurse without external support. When nurses see that it is created by a nurse for nurses, they know that the information and treatment guidelines were reviewed by a trusted source. Once I had developed it, I enlisted my peers and colleagues to test it, first at the University of California (UC) Davis Medical Center, where I am a nurse practitioner, and later at WFNN, where I collaborated with international nurses to refine the app for worldwide use. When it was tested and perfected, WFNN used word of mouth to promote it. We posted information about it on our Web site and let member nations know that this tool was available to improve the bedside care of patients across the world. People began to download it right away. Today, I am proud to say that there are 3000+ users in 19 countries. The app is available in English and we are working with the European Association to create versions of the app in multiple languages. In addition, nursing schools use the app to introduce students to neuroscience nursing. It is not only a nice pocket reference for experts but also helpful for new nurses to feel more competent when caring for patients with stroke, TBI, and other conditions. With the success of the mobile app, I produced and directed a 30-minute professional teaching video that instructs nurses on how to perform an excellent neurological exam. The idea came from an article that found that, despite today's tremendous advances in diagnostic neuroimaging, a good neurological assessment, coupled with imaging, is just as effective. In many countries where resources are limited, patient lives could be saved by teaching nurses how to perform a good neurological exam. The video has been translated into 10 languages and distributed in 8 countries. Work is underway to produce a companion pediatric neurological assessment, which will impact a wide range of children. Of course, none of this would be possible without the tremendous encouragement and support of everyone at UC Davis Medical Center, a Magnet(R) organization that values nurses who innovate to improve the practice of nursing. As a member of the center's Advance Practice Nurses Council, I was able to put forward my idea and use the medical center as a test environment. Developing the app in a Magnet(R) environment that promotes research and innovation resonates with my international nursing peers in WFNN who share my dedication to quality nursing care. Mobile technology has transformed the way we communicate and access information. Yet, some healthcare organizations are reluctant to embrace this powerful tool. Nurse leaders and nurses themselves must step up and find new ways to integrate technology into clinical care. It is time to be a part of the telehealth revolution to improve nurse competency, care delivery, and patient outcomes! Note: Neuroscience Nurse is available free from Google Play or the App Store.